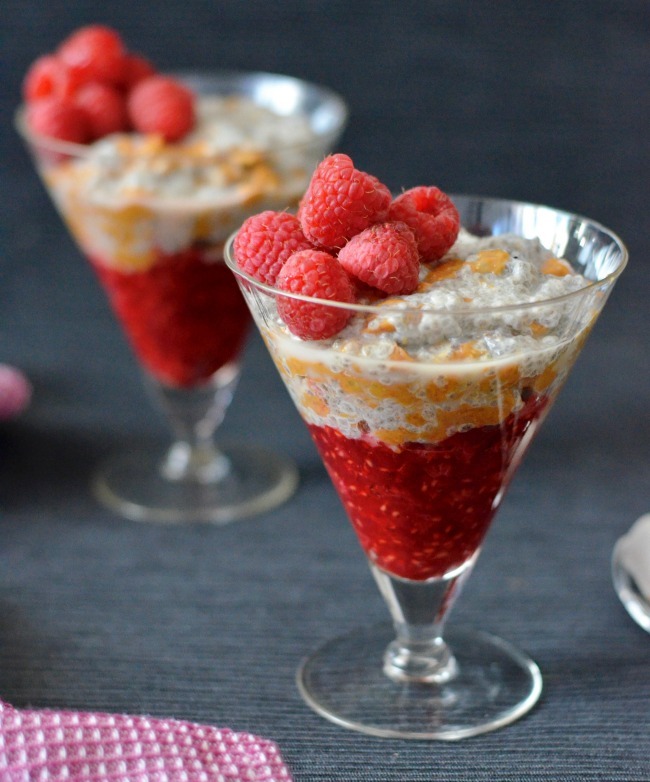 With warmer weather upon us I’m back on the chia pudding bandwagon for breakfast. 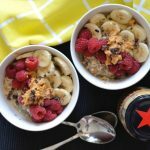 My folks recently bought me back some Fix & Fogg PB from New Zealand so I decided to whip up this peanut butter chia pudding! 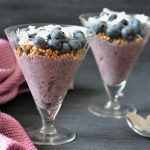 Healthy, delicious and you can prepare them in advance – what’s not to love! Simple as that! 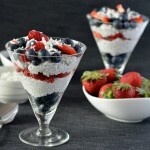 Whenever making chia puddings I recommend you give the mixture a stir an hour or so into the setting time. It helps make sure the chia seeds are evenly distributed and avoids any clumps forming. Sure, it’s not essential but it doesn’t hurt! 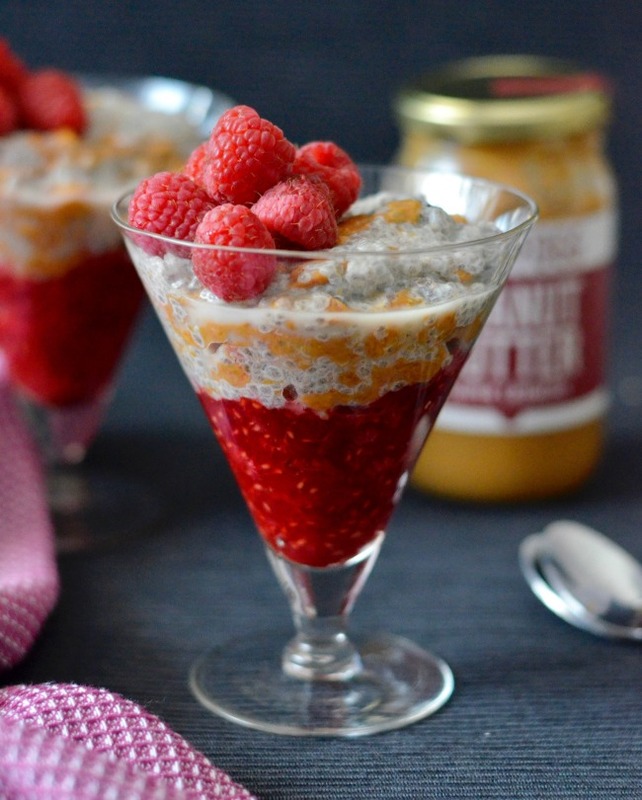 My favourite part about serving this peanut butter chia pudding with the mashed raspberries in the bottom is it kinda tastes like jam – it’s like a PB&J sandwich in a jar! You can use whatever berries you like best – blackberries or even strawberries would be delicious too. 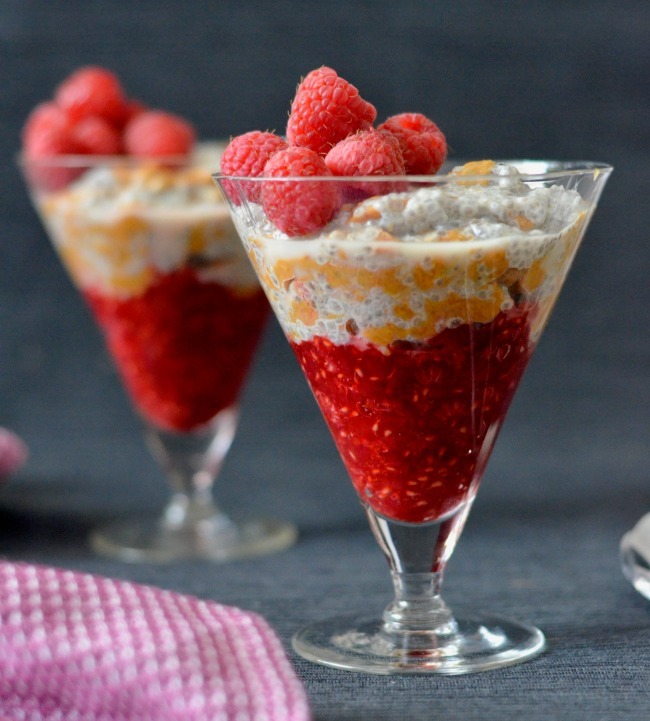 You can make the chia pudding in advance and just stir in the peanut butter when you’re ready to eat it, which makes it a perfect breakfast for when you’re short on time. Just pop it in a sealed container in your fridge and it will be good for easily a couple of days. I like to sometimes also top it with something crunchy like some cacao nibs, nuts or even a little bit of homemade granola. I do love adding a bit of crunch to everything I eat though! 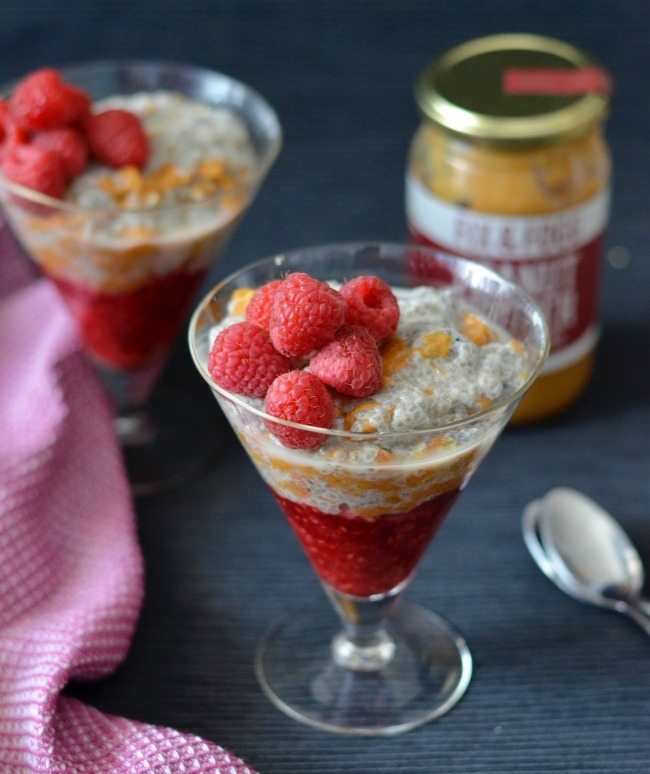 Who wants a peanut butter chia pudding for breakfast?